How to Soundproof a Room - 23 Best Tips that Actually Work! Blog How to Soundproof a Room - 23 Best Tips that Actually Work! 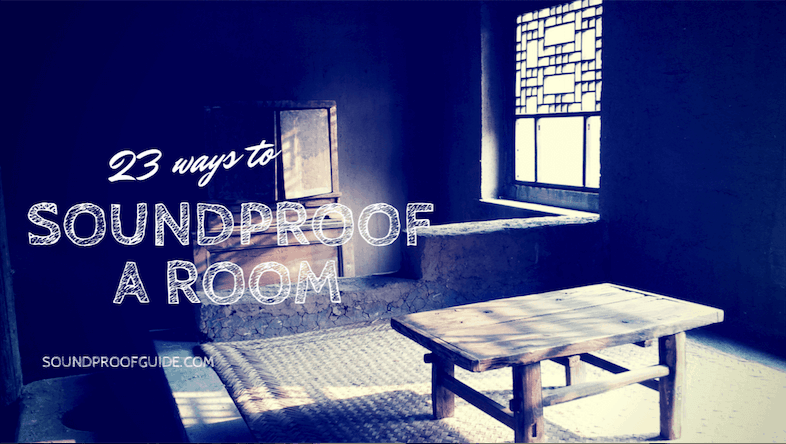 How to Soundproof a Room – 23 Best Tips that Actually Work! There are many ways to soundproof a room cheaply. You could go through a major renovation process, but most of the time there are many small things you could do to soundproof a room in your home. In this article, I will be talking about && ways for how to soundproof a room. How to soundproof a room? The way you soundproof a room is first to find out where the noise is coming from and then isolate the intrusion. The best way to soundproof a room in your home is by introducing sound dampening material and selling all the cracks and holes in the room. Whether you’re looking to soundproof a room due to noisy neighbors from an adjoining wall or outside noise coming from a window; there are many ways you can get the job done cheaply or even for free from items you already have in your home. I will talk about how to soundproof a room the DIY way because let’s face it, most of us attempt to do things like this ourselves. Of course, you can’t expect a full 100% soundproofing whether you go with a professional or you go for a DIY. 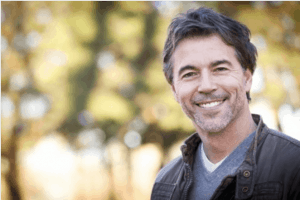 Once you apply however more than one of these methods listed below, you might be surprised at the results. This is why it’s fun to learn how to soundproof a room cheaply with items you already have within your home. Here is our simple checklist to go through when you’re trying to figure out how soundproof a room cheaply or even for free! Do Egg Cartons Absorb Sound? There are many sound absorbing materials you can utilize in your efforts to soundproof a room inside your home. Some will say that you can’t soundproof a room using sound absorbing the material. I would have to agree with those claims, but you should realize that you need to begin by making the inside of your room quiet. The very first step you should take when soundproofing a room is to eliminate the echo. If you’re inside the room and all you hear is noise bouncing around from wall to wall, well, that doesn’t make for a very peaceful place to relax or get some work done. This is one of the soundproofings that you can do for free with things around the house. I’ll explain below. Here is a list of what sound absorbing material you can use to soundproof a room and also how they individually work. You might be wondering what exactly would someone use a soundproof blanket for and why, well the answer is a simple one. The use of a soundproof blanket is to help block and absorb sound; you can pretty much use them for everything you can imagine within soundproofing a room. Soundproof blankets have many uses and styles depending on how you’re going to incorporate them inside the room you’re trying to soundproof. You might want to use the blanket to help block street noise or noisy neighbors by hanging them over a window. There are different blankets for different uses. You can buy some less expensive moving blankets, they are very dense, and also cheaper than your actual soundproof blankets. These moving style blankets will assist in drowning out higher decibel noises. Quilted soundproof blankets will work on getting rid of the lower decibel tones. These types of blankets are either made from quilted fiberglass or polyester. These types of material greatly help in stopping sound from bouncing across the room. There are many examples of the various uses of soundproof blankets depending on what type of room you’re attempting to soundproof. You can use these blankets in a recording studio by placing them around the walls of the room. With the help of soundproof blankets and its sound absorbing capabilities, they will allow you to get a better quality audio recording by getting rid of the background noise and interference. By arranging soundproof blankets in a strategic way within your home, in conjunction with soundproof curtains, you will have a good head start in soundproofing a room in your house. If you have loud appliances, you can use these heavy blankets and place them around noisy appliances like a dishwasher, washing machine, dryer, and air conditioner. Make sure the appliance can breathe, so it does not overheat. By reducing the noise of your air conditioner, you will also be reducing your energy cost by helping to maintain the temperature inside your home. Some people often ask me if soundproof blankets really work and my answer is always yes, BUT they will certainly not absorb 100% of the noise in the room you’re soundproofing. These blankets are there to muffle and deaden the sound within the room and also block some of the outside noise from coming inside the room. One way to experiment of how a room full of soundproof blankets would sound like is by heading over to your closet with your smartphone in hand. When you’re inside the closet full of clothing, turn the on music on your phone. You will notice that it sounds way better than if you would do this same experiment in your washroom. That’s basically what soundproof blankets are meant to achieve. Putting up a set of soundproof curtains is a sure way to soundproof your window when trying to learn how to soundproof a room. Soundproof curtains work a lot like its blanket counterpart in reducing noise and absorbing sound. You might think that a simple set of curtains could solve your noise issues in your home. There are two benefits, as with the sound absorbing blankets, the curtains will not only block a degree of noise coming from outside the window, but it will also act as a sound absorber within the room you’re soundproofing. The soundproof curtains I always come back to are from the company Nicetown. Click the link for more in-depth information on soundproof curtains. I will quickly sum up If they actually work and how; but like anything in the soundproofing world, it all depends on what YOU consider soundproof. Nothing is 100% silent so what I might find acceptable, you might not. So keep that in mind. Soundproof curtains not only block out noise but in most cases, they will block out the sun as well, some as much as 100%. That is what some companies claims. Curtains like this work even better if you already have thick blinds installed on the window. Watch the video below as I go into more details about soundproof curtains and if they really work as good as people would like them to. If you’re looking for some cheap DIY projects than building your own sound absorbing panels are one of the easiest and cheapest ways to get started in soundproofing a room. Click this link for a full tutorial on how to make sound absorbing panels for around five bucks! Sound absorbing panels do a great job in soaking up the noise by preventing it from bouncing from wall to ceiling. They do nothing regarding noise blocking; they are strictly for absorption. So people would often put a decorative banket on the wall that would act as a sound absorber. You can buy panels that are self-adhesive, but you can also place them temporarily on the wall if you’re only going to soundproof a room for a short period. This is usually the case if you’re renting an apartment. There is a product on the market called “command strips” that will hang the panels on the wall and leave no damage after removal. All you do is stick a command strip onto each corner on the back of the sound absorbing panel and then press the edges of the panel on the wall for 30 seconds. You will have no trouble taking them down, and they shouldn’t fall off the wall if you followed the steps. Using Egg Cartons as Free Sound Absorbers. 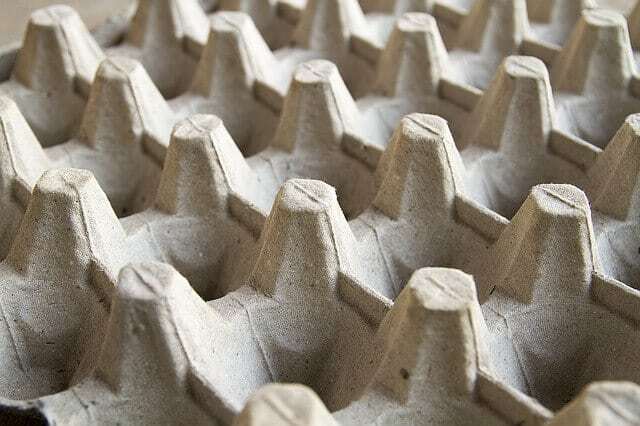 Egg cartons are one of one of the most popular “word-of-mouth” options when it involves cheap soundproofing suggestions. If you ever asked anyone how to soundproof a room for free, you most likely heard this tale in action. So, what do you think? Have you ever tried this free soundproofing strategy? You might be thinking that egg cartons would not be good at blocking noise, and you’d be right. Egg cartons are much too light, and they are also very thin. What egg cartons are good for however is in reducing the echo in a room by absorbing the sound. As you can imagine, an egg carton looks almost like the absorbing foam panels you would buy in the stores. The reason they both work well at reducing echo is that of their same type of shape. What happens is that sound will bounce off hard flat surfaces like a wall. If you stick an egg carton on the wall, the sound will travel into the uneven air gaps structure of the egg carton and will act almost like an insulating agent. Of course, an actual sound absorbing panel will work better than using egg cartons, but if your budget is low then the cardboard is better than nothing at all! Again, I may use the term soundproofing when Im talking about sound absorbers, but they all work in conjunction into making a room in your home more peaceful. There are certain types of furniture that soak up noise better than others. Just as an example, firm leather sofas, and chairs will not absorb sound as good as a plush couch made of fabric. Also having a large rug in the room will help in drowning out the echo. How to Soundproof a Window. Now that you have the sound absorbing aspect under control you should move along to your window. The window is another spot where noise will be coming in because of gaps and cracks. And of course, a window isn’t as good as blocking noise as a wall. Soundproofing a window doesn’t have to be expensive or complicated. I will quickly highlight different steps you can take to ensure the maximum noise blocking from your window. One of the first thing I would suggest if at all possible is to block the window in the room you’re soundproofing completely. Of course, this is not an option for most people and might only be a good idea if you’re using the soundproof room as a media room for video and sound recording. If you’re not going to block the window, why not replace it with a double pane window. 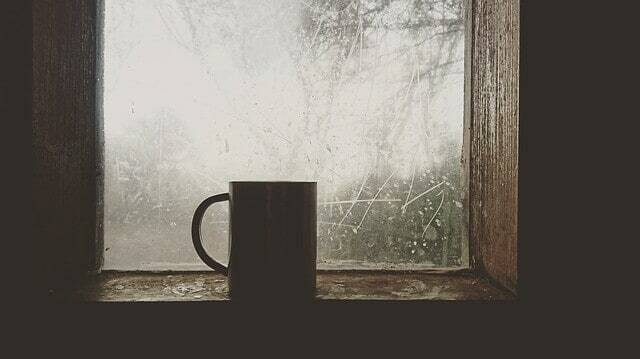 In addition to giving you some good noise blocking, a double pane window works excellently as temperature control. These windows will keep the soundproof room cool in the summer and warm in the winter, and you’ll save money on your energy bill at the same time. Be sure to ask the person that would be installing the window if they have experience in soundproofing projects. Tell them you’re not only changing the window because of a draft, but you’re also replacing the window because you’re trying to soundproof the room. Some people simply do not have soundproofing experience and don’t know what type of material to use for better soundproofing. A much cheaper option than blocking or replacing the window is by adding an extra layer of acrylic over the window. Acrylic will reduce the amount of noise trying to pass through the window. Doing this will require you to place a metal frame on the existing window, and then magnets are used to attach the acrylic layer to the window. What’s nice with an acrylic layer is that it is transparent and will not block light from coming into the soundproofed room. This method will block a small amount of noise. Perhaps this would be enough if you do not have much noise to block when combining this method with installing thick blinds and soundproof curtains. If you’re going only to be using acrylic to prevent sound coming through your window, then I would suggest another method because you would be disappointed in the amount of noise it blocks. Learn how to fully soundproof a window by clicking this link. Thin walls can be the biggest culprit when you’re trying to figure out how to soundproof a room. There are many ways to remedy the problems that thin walls can create; some can be cheap, and some are a bit more expensive and would probably need hired help. Using bookshelves as a noise blocker is not something I hear too often, but it is a solution that can work quite well. If you have a wall with no doors or windows on it, then a bookshelf could work. The idea is to build a built-in bookshelf that would encompass the entire wall. I would suggest placing a sheet of 5/8″ drywall between the wall and the bookshelf to make it even more soundproof because the books and decorations will most likely not cover the entire wall. Build the bookshelf from one end of the room to the other and from floor to ceiling. This method only works if you have enough books to fill most of the shelf. The thickness of the books will add an additional thick barrier between you and the noisy room next to the room you’re trying to soundproof. Installing a bookshelf is a DIY job that won’t break the bank; and will serve as not only for noise reduction but storage as well. If there are some empty spaces, you can consider installing cupboard doors that would fit the bookshelf and help eliminate the transfer of noise from the other room. Adding more mass to the wall will help in making a soundproof room. The type of drywall you should add is 5/8″ thick. The combined thickness versus the regular drywall in most homes will not only help block noise but will make your wall look better by reducing the chance of it from bowing. Placing a layer of drywall can be daunting if you’re not confident in your construction abilities but it’s really not that difficult. I will give you a couple of suggestions to make the job go easier and have the finish results work better. Ask for help; One sure way to make the job of thickening a wall is by having a helper with you while doing the job. Lifting and placing the drywall works a thousand times better with two people. Green Glue; Green glue is a soundproofing compound that resembles caulking. Buy a couple of tubes of green glue and apply it on the side of the drywall that will be against the existing wall. Apply the green glue in a random zig-zag pattern, so you have a higher chance of getting some all over the drywall. By adding an extra layer of drywall, you will notice a reduction in noise transfer from the adjoining room. You’re not done yet, however. The next steps work in conjunction with the drywall in giving you better soundproofing. One of the necessary steps some people would think is irrelevant can be the most crucial step when it comes to soundproofing; that is finding all the small gaps and cracks on the wall and sealing them. Begin by removing all the electrical outlet covers. Inspect inside the rectangular metal box if the sides between the box and the wall are sealed or if there is a small open gap. Most of the time there will be an open gap because most builders do not place importance on such small noise reduction details. There are two ways to go about this depending if the room you’re soundproofing is finished or unfinished. 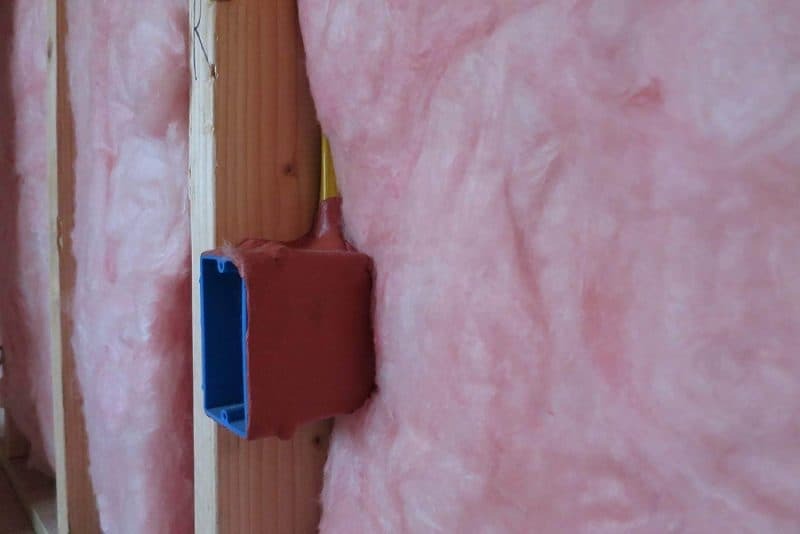 With an unfinished room, before the drywall is up and the electrical boxes are exposed; there is a product called putty pads you can use to wrap the box completely. Putty Pads for Soundproofing electrical boxes. By covering the box with a putty pad, you will be sealing all the holes and gaps. This fix is not dangerous in term of a fire hazard because puddy pads are made for this type of soundproofing and work great. If you are soundproofing a finished room, you will not be able to use the putty pads since you only have access to the front of the electrical box. That’s perfectly fine because you can seal the gap between the electrical box and the wall with some green glue noise proofing compound. Even something like flex seal would most likely do the trick, but I would buy the green glue if I had a choice between both products. The only thing though is that the noise proofing compound will not seal the entire electrical box. The holes behind the outlet will remain open, but at least it will help concerning soundproofing a room. After you’ve sealed the electrical outlets, it’s time to seal around the windows and baseboards. You might not have to do the baseboards, but it is always prudent to do so because you never know how much sound is bleeding through the bottom section. All you would need to seal would be between the floor and baseboards. Here is more into details into how these types of noise reduction compounds work by clicking here. The door is the biggest hole in the room you’re soundproofing, so it is critical we have a method to reduce as much noise coming in from the entryway. There are a few ways to soundproof the door. I will quickly give you some examples as to how to get this done. In your attempt to learn how to soundproof a room; one of the first things you should look at is to figure out how to soundproof a door. Most interior door throughout your house will most likely be a hollow core door. A hollow core door is a door that is hollow on the inside and is made with thin sheets of wood. A hollow core door will do very little in sound reduction. One easy fix is by installing a solid core door. You will mostly see solid core doors as a door that leads outside, but you can definitely install one inside. Some of the solid core doors are made of solid wood and look really good. A solid core door will cost a bit more than a hundred dollars but can be very costly if you chose a fancy one, like everything else really. I would go to your nearest hardware store and look at your options and go from there. Directly after you’ve installed your solid core door, you need to install a door sweep. Door sweeps are inexpensive yet extremely important when soundproofing a room. The solid door will do little regarding noise reduction if you have a gap spanning the entire length of the bottom of the door. Even a small crack will let a large amount of noise inside the room. You can also install a complete door seal. Door seals can work very well if installed correctly. You can check out my full tutorial on how to install a door seal and which one to buy by clicking the link. Click here for more information on the door sweep I recommend to better soundproof the door. Like I mentioned above, soundproof blankets would do an excellent job in reducing the amount of noise coming into the room. If installing a solid core door proves to be too expensive then a soundproof blanket is your next best thing. It is all about introducing extra mass in front of the door, and a soundproof blanket will do just that! Some soundproof blankets are specially made to soundproof a door. They are the right shape and size to match the size of the entryway perfectly. There is a product called mass loading vinyl and could be very helpful when trying to soundproof a room. The one setback, however, is that it is expensive and quite ugly on the eyes. The only reason I am mentioning this product is that some readers might want to learn how to soundproof a room and not care how it actually looks and care about the best noise reduction possible. Mass loading vinyl is very easy to apply because they typically have a self-adhesive layer on one side. All you do is unroll and cut in size, so it fits perfectly on the door. This would work on both a hollow and solid core door. Vinyl would undoubtedly add to a solid core doors ability to stop sound from bleeding inside the room. Rubber gaskets will fill the crack on both sides of the door and ensure the door closes much more tightly. This is a relatively cheap solution if the door is loose when fully closed. If the door wobbles to the touch or from a gust of wind when it is closed, then there is definitely a gap you need to fill. Filling this gap with rubber gasket will only take a few minutes because they are self-adhesive and easy to install. Don’t forget to clean the surface where the gasket will stick. Make sure the gasket that you do buy is not too thick as the door will be difficult to close or simply won’t close at all. This gasket is the one I recommend because it has just the right amount of thickness to accommodate the majority of interior doors. There are many more ways to go about soundproofing the door, but these are the choices I would put more focus into. The reason I saved the white noise machine towards the end of this article is if your attempts to soundproof a room fails you can always resort to making your own noise. Even if the room is now relatively soundproof, it won’t hurt to have a white noise machine. This depends on what you are using the soundproof room for and how much you’re willing to spend. 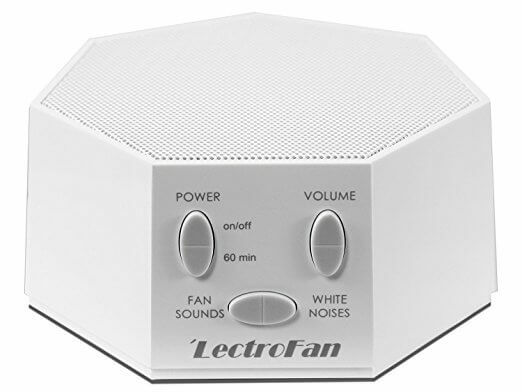 If the room is for music or video recordings, then a white noise machine is no good; but if the soundproof room is for an office, then I would certainly buy a white noise machine. I use noise to concentrate, but I don’t use a white noise machine. The sound I use is modern classical music. It’s probably not what you think, its way better and it puts me in the zone to do whatever I want to do that requires concentration. Max Ritcher is the composer I like to listen to while working. Give it a try; you might surprise yourself. So, back to the white noise machine. A white noise machine makes a constant sound that helps drown out any background noise that might be disturbing. The sound of waves crashing or birds signing is not white noise because it is not constant and monotone. A white noise machine is not meant as something to listen to; it is strictly to drown out background noise. It works very well if the outside noise isn’t too loud or erratic. What’s funny is my sons have white noise machines to especially drown out thunderstorms. But a whole lot of people use the noise of thunder and rain to help them sleep as they find it soothing. So there you have it, a bunch of different methods to teach you how to soundproof a room in your home, apartment or office. Please let us know in the comment section if you found any of these methods helpful and if you think of new ways to soundproof a room that I could add in this article. Im always looking to update my content with new and relevant information; so don’t be shy in telling me what you think works and doesn’t work. Also, check out our YouTube channel. I try to add new content is every week. We talk about soundproofing tops, DIY’s and best soundproof products to use to soundproof a room, your car and anything else you can think of soundproofing! If you’re wanting to know how to soundproof a room then look no further as my team brainstorms to give you the best soundproofing information to achieve it!